Calling all sponsors and exhibitors! Michigan Pet Fund Alliance invites you to be a part of the 2018 Getting to the Goal conference & Best Friends Midwest Regional Leadership Summit being held at the Radisson Plaza Hotel at Kalamazoo Center, Sept. 27-28, 2018. This conference promises to be more exciting and far-reaching than any to date due to the partnership with Best Friends Animal Society Midwest Region, allowing our life-saving message to expand into Ohio, Illinois, Indiana, Wisconsin and West Virginia. More than 200 shelter and rescue personnel, animal control staff, volunteers and animal advocates attended our last Getting to the Goal conference. Thanks to an impressive speaker list and variety of topics, an even larger number is expected this year. Attendee registration opens May 2. Full conference details are here. Contact conference@michiganpetfund.org with any questions. Sponsor Registration form is here. Deadline to be included in promotional materials is 7/31/18. Exhibitor Registration form is here. Conference exhibitors in prior years have included pet supplies vendors, shelter support, lost and found, microchip, pet insurance, artisans, advocacy groups, veterinary practices, animal welfare non-profits, and more. Exhibitors will have maximum exposure over two full days as conference attendees travel to sessions, have lunch, and take breaks during the event. New this year is an Exhibitor Passport that will encourage attendees to visit every booth. Each exhibitor booth space includes one 8′ skirted table with two chairs. Reserve your booth today. Space is limited. Deadline is 7/31/18 or until spaces are filled. In February 2018, Michigan Pet Fund Alliance board of directors approved a position statement opposing any proposed legislation, law, policy or protocol that would discriminate against a dog or cat based upon its appearance, perceived breed or history. View the Position Statement here. 2018 Getting to the Goal Conference: Save the Date! Michigan Pet Fund Alliance will host Michigan’s No Kill Conference, Getting to the Goal, in Kalamazoo at the Radisson Plaza Hotel . The conference is also the Midwest Regional Leadership Summit for Best Friends Animal Society. There’s something for everyone. Help us spread the word by printing this flyer to help publicize the event! Display it at your shelter, library, vet’s office, local pet store or workplace. 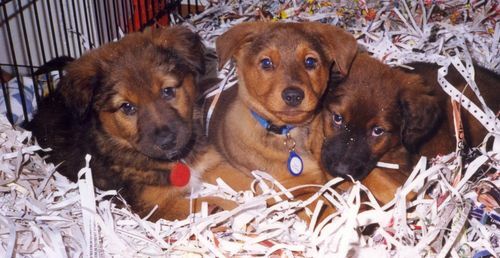 Registration opens May 2 at www.michiganpetfund.org. Sponsorship and exhibiting opportunities are available. Buy tickets now for Michigan premiere of no-kill documentary! Redemption will have its Michigan premiere at the Michigan Pet Fund Alliance’s 2014 Getting to the Goal Conference on Thursday, Sept. 4, in Troy, MI. In addition to the film and presentation, there is a companion book for the film that profiles the communities and activists in the film, the No Kill philosophy, the film’s transcript, what you can do, and much more. This material will be exclusively available to those who come see the film and presentation. Redemption is based on the book of the same name, and author and No Kill Advocacy Center Director Nathan Winograd will be a featured presenter at the conference, along with other leading experts in sheltering and shelter medicine. The full line-up of speakers can be viewed here. Attendees at the MPFA Awards Banquet, recognizing the top-performing shelters in the state, will be able to view the film at no additional cost. Individual tickets for the movie only are also available. Find more information, register for the conference, or purchase tickets here. 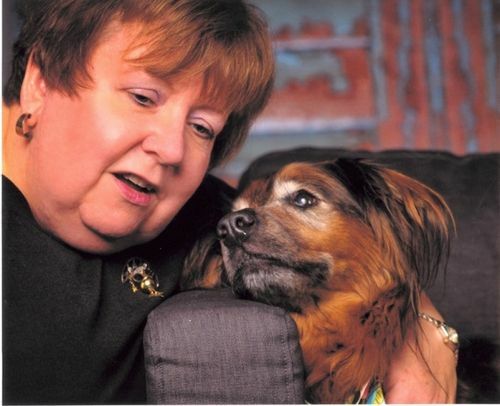 On Sunday, July 29, my precious companion angel I called Cutty transitioned from my earthly care to a place of pure love – some call it the rainbow bridge, some heaven, some call it being in the presence of God. You may know me, Deborah Schutt, or you may know Cutty, or you may not know either of us but are aware of the mission that Cutty is directly responsible for: To make Michigan a no kill state for homeless healthy and treatable dogs and cats. Let me tell you how this beautiful dog came to earth with a mission that you can help become a reality. I was 45 years old and making a career transition that would allow me to have a pet as I would be working from my home. As a single woman never having been responsible for anyone or anything but myself, I questioned if I had the maturity and discipline to be responsible for a pet. After all, it was a lifetime commitment. So I decided to foster homeless pets to get a feel if I could make a lifetime commitment. I never lived with a cat or a kitten so I didn’t think that was a good fit and my yard was not fenced so I decided that puppies would be my choice to foster. They were a lot of work – especially since most had some type of illness that needed medication but I realized over time and cleaning up a tremendous of diarrhea and replacing my perfume for the smell of chlorine bleach, that I could be a pet parent and I reasoned that one of my fosters would speak to my heart and I would “just know” when the right one would come along. I received a call on December 31st, 1998 that a cardboard box filled with 7 puppies were left in a K-Mart parking lot. The puppies had upper respiratory – could I take them? Seven? No I wasn’t prepared for seven. But I would take part of the litter, so I picked up two furry boys and a girl from the shelter and drove home in the beginning of a blinding snow storm with three little sick ones crying and barking in the back seat on the tense slippery ride home. I named them Teddy, Squirter and Cuddles. Cuddles because that is all she wanted to do and appeared to me to be mean to her brothers in every attempt to hog my attention. I didn’t like her lack of sharing and actually thought she was a little snot. Squirter was the first to be adopted from my home and I witnessed a loss by Cuddles which I thought strange since she was so mean to him. A little later Teddy got adopted and again I witnessed a loss by Cuddles missing her brother. She was healthy now and not being my favorite foster – I was ready to take her back to the shelter so she could find a family. I won’t go into all the details but after half a dozen phone calls and weeks of trying to take her back I decided to keep her. I later learned that there was divine intervention and a true miracle occurred with those half dozen phone calls that allowed the needed time for little Miss Cuddles to worm herself into my heart. I continued to foster. Cuddles who I believed they gave passing marks in puppy class only because they didn’t want such a rambunctious puppy back repeating the class, was becoming a good big sister or Mom to the incoming puppies and dogs. As time passed, I realized that Cutty – I never liked that name Cuddles – which I gave her never thinking she would be sticking around – started to teach me lesson after lesson. 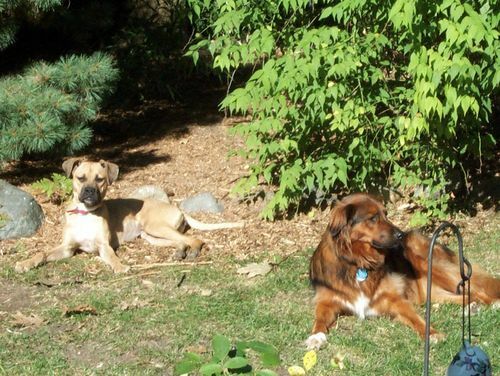 When one of the fosters escaped the house and no one could catch her, Cutty would go out to the yard and coach Nellie back into the yard to stay and lay with her – which after days of repeating this practice allowed us to recapture Nellie. When the bunny made her nest in the flower bed and I saw Cutty rooting around and heard the squealing of the baby bunnies – I told her she needed to protect the bunnies and not scare them and she settled next to the nest providing protective watch only moving to chase the cat that had other intentions. Even when a finch flew into the window and stunned itself, Cutty went to check it out. 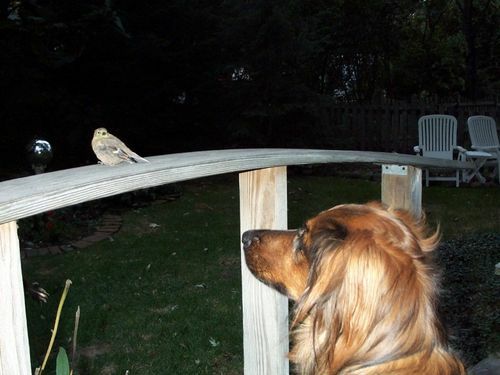 She nosed the bird which eventually flew to the bridge railing and Cutty followed and watched as if to make sure it was alright. I chuckled because occasionally Cutty would “point” and here she was being protective. She greeted me at the door every time I returned as if I was a world famous rock star and it was our first meeting, even if I had just returned from a 30 minute trip to the corner store. 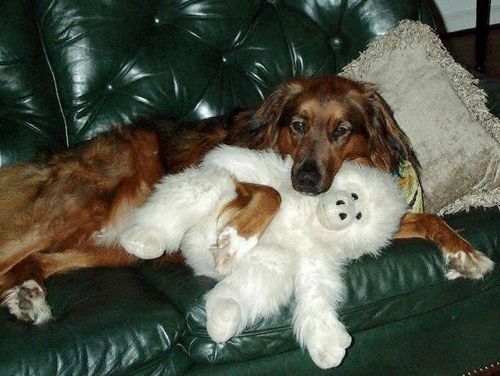 There was not one mean bone – actually I don’t think cell in Cutty. I never heard her so much even growl. When we met “unfriendly” dogs while walking she was always friendly even to the point when owners were pulling a snapping dog away, Cutty wagging her tail would back up a little and look at them as if there was no possible way that they could not love her – well at least like her. And when I would get angry, yell or swear she would rush to me from wherever she was and would literally come over to me, get on her hind paws, with her two front paws around my neck and she would lean in and give me a hug. As if to say “this negative emotion is not worth it, let it go.” And how could you stay angry when you have a dog trying to pull you into a hug? I watched her lessons of expressing joy and appreciation to those you love – ALL THE TIME – literally – ALL THE TIME; and never responding back to a dislike or a fear with more dislike or fear; to care and give protection to those in need and truly live in the moment. And I committed to her that I would give back to her kind for all that she had given to me – the unconditional love, the joy and the life lessons. As a result the Pet Fund was formed. I was aware when I started to foster that homeless animal welfare desperately needed to be updated as it was operating the same way it did when I was a kid. I knew that as a planner there are solutions to problems but not without analyzing the causes and targeting the solutions. I knew there had to be a formula, a series of programs or steps to save the 100,000 homeless dogs and cats killed annually in Michigan shelters. We as the Pet Fund figured some of them out but when we stumbled upon the No Kill Equation by Nathan Winograd – the proven formula, the focus for the Michigan Pet Fund Alliance was cemented. We needed to work to make sure that every shelter in Michigan implemented the No Kill Equation. What we NEVER expected was that it would be so hard to change the mindset of shelter management away from their status quo. I NEVER expected that the place that gave me my treasured Cutty, the Michigan Humane Society, would be so resistant to change while killing 7 out of 10 animals in their care. Cutty came to this earth with a mission to touch me in such a profound way that I would work tirelessly to make profound changes for her kind – the homeless cats and dogs – those furry teachers of unconditional love, and living in the moment. There is so much to be done and it can’t stop with Cutty’s passing. My heart is broken and I will miss her beyond description. Please help make Cutty’s legacy a no-kill Michigan with a memorial gift to https://www.michiganpetfund.org/donations.php or mail a check to the Michigan Pet Fund Alliance, c/o Michigan Commerce Bank, 1988 Opdyke, Auburn Hills, MI 48326. Demand of your elected officials for public shelters or board members of not for profit shelters institute the programs of the no kill equation. It isn’t a matter of money. It is a matter of change. And of course spay/neuter your pet and support those organizations trying to save the lives of all the healthy and treatable homeless cats and dogs is their care. Please feel free to share Cutty’s story with others.